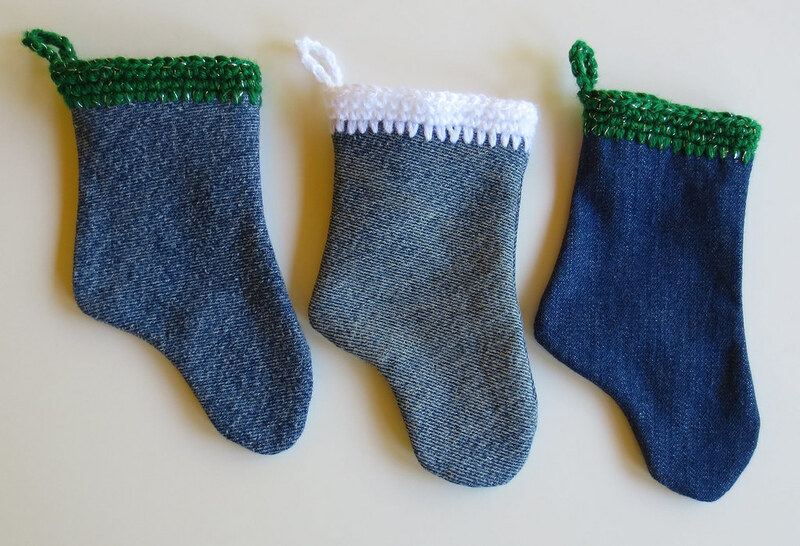 Here is my trio of Christmas stockings I crocheted for the grand kids. I crocheted each one in their favorite colors and added bells to the girls’ stockings. The red one is for my 1 year old grandson so I did not put the bell on his for safety reasons. It was Christmas in July for me this month. I have been working on crocheted mini Christmas stockings for the Warmth for Warriors 2016 Stocking Drive. 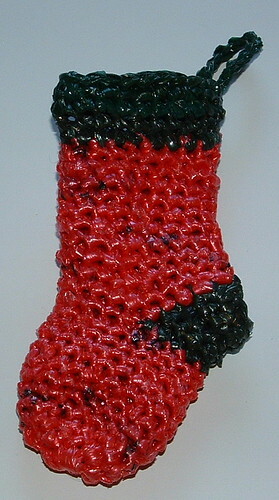 July marked my start of crocheting the little socks for the organization that collects the stockings and fills them with small gifts such as chapstick, shampoo, lotions, or other small toiletry and gives them to our troops at Christmas. 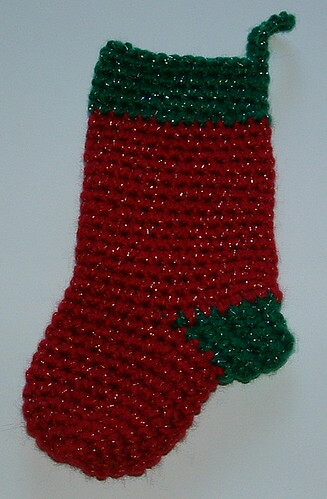 It is always fun to crochet these cute little stockings for the troops. It is a wonderful way to use up scraps of yarn as you only need little bits of yarn to do the toes and heels and add contrast to the stockings. It’s Christmas in July for me as I’m working on mini Christmas stockings. The Warmth for Warriors organization needs 2000 mini Christmas stockings for the troops. They have just kicked off their 2013 Christmas Stocking Drive. The socks need to be around 6 inches long and will be filled with a small bar of soap, shampoo, body wash or similar item and given to the troops as a little Christmas gift. The socks can be sewn, knitted or crocheted and do need to be all handmade.